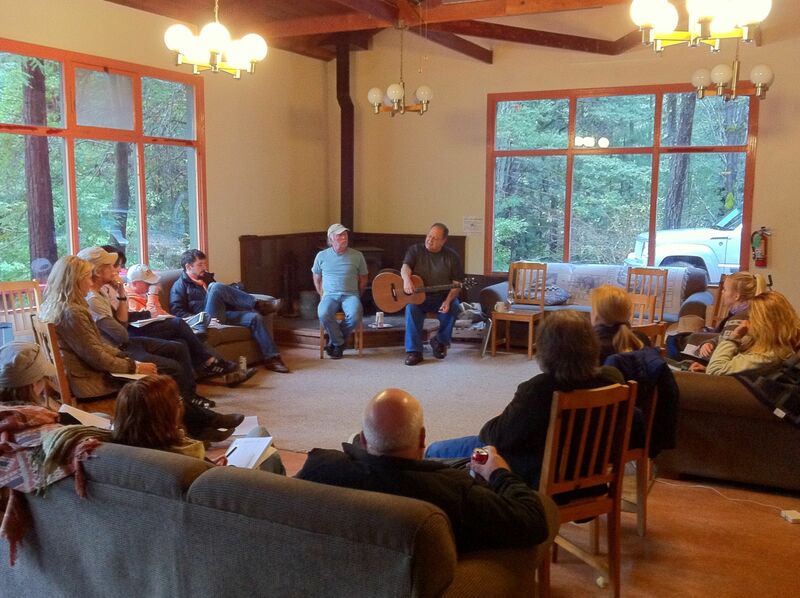 The Listening Room Retreats structure and success is based on community building principles. The group holds and supports the energy and participation of each member through The Listening Circle Agreement of giving focused attention, without interruption, to whomever is speaking or singing. 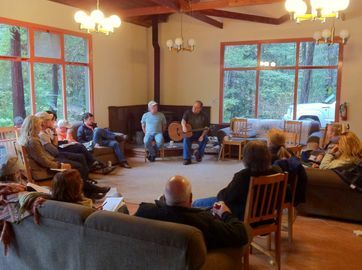 Facilitation on a daily basis is led by Brett Perkins (as well as additional partners or co-leaders as noted in the course date listings), with invited guest professional writers often adding their experience and perspective as well. 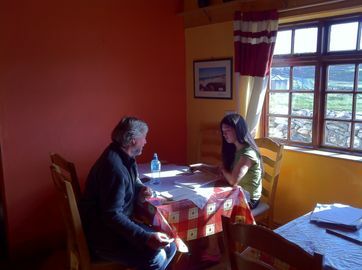 Each morning, participants meet in the Listening Circle at 10:00am, to explore different aspects of the creative process, be paired with a new co-writer and receive a suggested ‘jumping off point’ for the days work – designed to give each person the opportunity to explore new approaches to their writing process. The co-writing pairs then have most of the day available for getting acquainted and into the writing – with plenty of space provided for encouraged breaks, walks, naps, meals and more…..whatever is necessary to stay freshly engaged with the joy of the creative process. 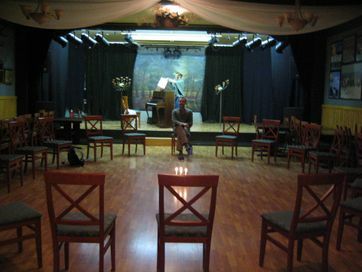 Each evening after the group meal, we return to the Listening Circle to share what showed up and took shape during the day and consider constructive feedback on how to potentially develop the work further – with a focus on ‘tools not rules’, encouragement to stretch beyond the familiar, and ways to move from self expression to effective communication.